When you have design styles that clash it can trigger an uncomfortable situation when you get to the point of living together. Your aesthetic styles DO NOT match and you’ve come to a crossroads but you shouldn’t come to ultimatums. Just like all things in a relationship compromise is important. Both of you will need to give up something to reach common ground so not only to you co-habitate peacefully but sleep at night too! Couples can argue over anything and most likely come to a workable compromise. But what if your disagreement was about furniture choices and design styles? Wars have been fought over less, but now that you are living together and you can’t stand that bulky leather couch you are pretty sure he and his friends found on the street it’s time to decide what to do when you know that he has forged a sentimental attachment to it? What if you’re all about pinks, fuchsias, purples and the rest of the rainbow colors that make his eyes hurt just by looking at the furniture, what do you do? These colors make you feel like a princess and asking you to give them up would be like asking yourself to have her wisdom tooth pulled out without a local anesthetic! Differing in design and decorating styles should not be the deal breaker because couples can most certainly find common ground when it comes to decorating. The goal is to create a home that both of you love to be in and one that doesn’t let the other feel as if they had to compromise too much for you to get your way. Because if you fell in love with this person, surely you can put up with ‘some’ of their not so cool habit, why not agree on a few furniture choices that somewhat define both your personalities? An ugly leather couch or colors of the rainbow may be off-putting, but it’s not always what you see on the surface. Besides, some of the most beautiful designs have come from opposition. It is, therefore, important to try to understand why your significant other is adamant about keeping something. Instead of one person moving into the other person’s place, it’s important that couples who are moving in together for the first time to try to find a new place of their own whenever possible because as would be expected, the first one to live there might become territorial and falsely believe he or she has a greater say in decorating, which may not bode well for a strong partnership. Starting a fresh not only helps to smooth out the transition process, but it also helps you find common ground and set both your expectations early on in terms of budget, color palette, types of furnishings, as well as what should stay and what should go. In order to foster an atmosphere of cooperation, any hesitation met when discussing design or furnishing choices that do not reflect on each other’s taste, personality type or color preferences, should be given some pondering time instead of asserting your individual design tastes on each other because there’s also an emotional payoff when your less effusive partner is invited to share their views on design and when they speak up and are listened to, it yields a design that’s illustrative of you both, not just one person and it also makes you both feel validated. When couples are looking for some interior design inspiration, having a design and décor board of both their ideal homes and furnishing can help them come up with styling tips that will help ensure that their home is beautiful, comfortable and suits both their personalities and lifestyle. A styling board also allows a couple to explore which materials are best for them; they learn how well they can decorate their home from finishing touches to furnishing their entire home. The goal is to have a space that feels curated and personal in the long run. This ensures that both of you have input and no major decisions will be made without the other person’s consideration. There are no two ways about it, buying furniture can be a difficult task – especially if you are not quite sure what how to bring both your styles together and there are pre-existing themes and colors your new furniture choices have to fit in with. The furniture styles you find today are very different and they too, like fashion, come and go. Furniture ‘fashion’ has deviated from the more ornate classical looks to more contemporary, bold styles that blur the lines between artistry and functionality. However, neutral furnishings could see you through many periods of redecoration. One of the major design mistakes that couples or everyone make is to feel the need to match everything! From the wall paper to the curtains, floor rugs, and furniture. 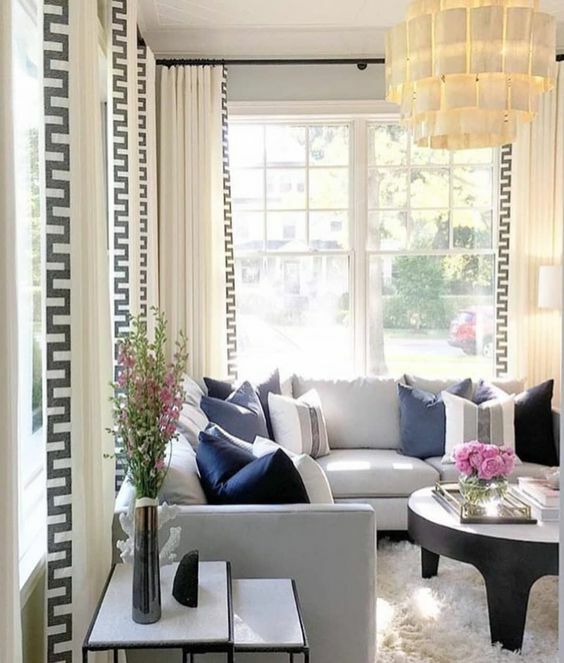 It is quite easy to blend the more classical look with art deco, or the contemporary style furnishings that are very popular today that can enforce both your concepts to create a scheme that fits your personalities and lifestyles. If your better half has an affinity for bulky leather furniture and you like velvet with sophisticated silhouettes, it is important to find something you both love and incorporate that into your home. It could be a color palette that creates a visual unity, or pieces of sentimental art you have purchased together during a holiday trip, or a wallpaper that unifies the space, or a floor rug that blends well with both your styles, etc. Such pieces can be easily injected into the style of your home without necessarily making a room look like something a cat dragged in and a great way to keep the focus on commonalities. When you can’t seem to agree on an overall design scheme for your home, decorating room by room might be the solution. This way, you can both pick a room of your choice and have a go at it, provided you agree on a calm color palette that will give all the rooms a similar flow. He could choose the home office where he is at liberty to go crazy with his love for leather, and you can pick the bedroom or the guest room where you can inject some femininity styles that you adore without going overboard. Couples should keep in mind that with home décor, all the spaces should ultimately be a welcoming environment for both of you, and anyone else who visits the home. There is certainly no reason to waste a good piece of furniture or dump it in the landfills just because of its unappealing color or worn-out fabric. If a furniture piece is still in great shape except for the fabric, and its quality construction has lasted longer than some of their newer pieces, choosing the right fabric is key, and this can be easily solved with the help of an upholstery professional when you are facing new color changes, new design needs or a more contemporary look. Also, for purely sentimental reasons, when a leather seat or a dining table is a favorite piece of furniture that you may have inherited the piece from someone special or perhaps it was the first furniture acquired from your very first job, it would be more satisfying to restore it in order to preserve the memories of the furniture and it can also serve as a wonderful conversation piece for years to come. It is not an uncommon thing for emotions to run amok amid the stress that comes with decorating issues, they both care immensely about their home’s appearance but when blending styles is bringing unnecessary conflict during the process, hiring a professional interior designer may just be what a couple needs in order to keep the piece. Doing this not only saves you money especially if you are on a budget, but an experienced designer also has a trained sense of what needs to be done and when it needs to be done and will save you time. When you both can’t come to a common ground in terms of decorating styles, getting a professional assessment from an interior designer will get you an immediate plan of action for your space or home because a trained pair of eyes will see things you are guaranteed to miss. We all want to make our home picture-perfect, but most of us do not know how to make the design we envision a reality, and instead of spending loads of money on the trial-and-error process of decorating, you can simply provide a picture or description of the design you want in your home and a professional designer will make your home look just as you had envisioned. Interior designers are also more than capable of incorporating the little details such as blending that bulky leather seat, with your feminine colors that help an overall design idea come together in order to transform any room into a space that you will love. So don’t let your difference in design styles threaten your relationship. Problem: He likes autumn subtle colors. You like blue and breezy. He’s living in a fall wonderland surrounded by burgundies, oranges and brown while you’re living in a coastal paradise. Solution: Well there is a way to bring some harmony to this situation. Certain blues and oranges complement and can work in the same space. You will need to agree on how you both want the space to feel. Check out our posts on putting a space together HERE for more on picking out colors and pulling your entire design scheme together. Problem: He likes bulky leather furniture and you’re a glam girl at heart. He’s into big comfy pieces like dare I say it “a recliner” while you like sleeker more streamlined silhouettes. He’s into earthy rustic materials while you like velvets and faux fur. Solution: Well recliners have come a long way and don’t look like the Barcaloungers of the past. There are so many sources to purchase furniture and décor. Work with an interior professional who is very familiar with a variety of vendors that would suit both of your design styles. Problem: He likes a minimalist look. You’re a maximalist at heart. He thinks your current decor is riddled with booby traps. You have to have something in every nook and cranny while he embraces simplicity. Solution: My key tip here is going to be balance! He may have to accept that a minimal look could come across as cold and empty which may not be that inviting while you embrace the simpler is more mantra. Remember it all leads back to compromise. So see you can coexist! Have any more questions? Contact us today. I run into this ALL THE TIME. Sometimes being a designer is more like being a therapist. Most of my clients compromise with the room by room solution. Starting fresh is ideal though. Nice post! It really is about the compromise! I like that you suggest starting fresh in a new place. That’s such a great point. Even if we aren’t aware of it we get territorial of our personal space. Great post. Thank you and yup so true! Great information to share. Thanks for all the wonderful suggestions.